Life is brutal and boring most of the times. What makes it still bearable are some sudden moments of sensations which stir the soul and sets the spirit soaring. Such moments are far and few and fickle and feeble. The moment which in the middle of the excruciating pain of longing of immense loneliness suddenly transforms into a tranquil sense of solitude give a rather engaging turn to a boring life limping under inevitable ordinariness. The moments when pain and ennui, without any notice to us, turn into magical and mysterious, funny and forgiving are rare and accidental. It is therefore very difficult to write about life as it is and still sustain the interest of the reader long enough for the magical to emerge from the mundane, for truth to arise from travesty. One does not find such writing often. Call it experimental writing, call it new-age writing, call it whatever, it is the art of telling the plain truths of uneventful life in such an eventful manner that continues to keep you engaged. Such stories grow very slowly upon your soul and when they are there, the signs of life get more pronounced on you with each word you read in the book. Once feels alive by reading these works of literature. "The Year" by Virginia Woolf is one such book, which while you read is little difficult to read, but once you finish it and close it, for a long time you keep running your fingers on the cover pages and you almost miss having finished it. “The Years” was published in the year 1931 and is almost written as if it were a journal or memoir written to encapsulate the journey of a British family across the years. In a sense, this is much closer to “The Waves” (My Review Here). The story doesn’t intend to judge, shock or surprise you. It flows in a lucid, poetic flow which keeps us levitating on the surface, without drowning or overwhelming us. The water is clean and transparent and we are able to look through it. The description is much denser, the design, more delicate, the messages more meaningful, than The Waves here. The story is simple, yet layered. The weaving Ms. Woolf began with The Waves, reaches its highest notes with The Years. Virginia Woolf writes like a master here. We have writers who let their writings flow in such a lovely language, flaunting the floral beauty of their prose as it balances itself on the edge of the line dividing prose from poetry. Then some are blunt and straight, relying the twists and turns of the story to keep you engaged. 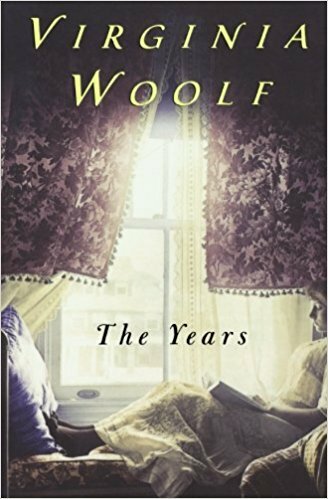 Ms. Woolf, a masterful writer that she is, moves between the two styles with the swiftness of a writer whose pen seems to have melted and merged into her fingers and ink mixed in her blood. Her writing is an extension of her being and is therefore, as representative of Woolf- the writer and is as effortless as Ms. Woolf- the person, a breathing, feeling human being. It is therefore timeless and still intrigues and interests readers after almost a century. 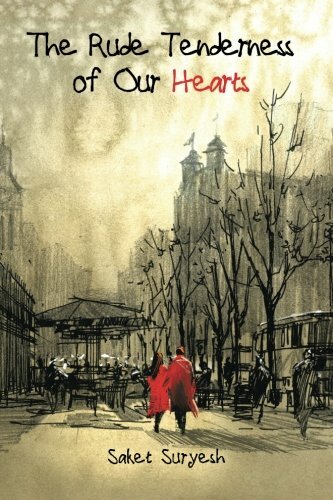 The very honest humaneness of the writing renders it a rare universality. The story of three generations of Pargiter’s family is rich with emotions and symbolism. Her symbolism is not of course, Kafka’s symbolism. It is more cunning, craftier and carefully hidden in the layers and the wisdom is much more subtle. It is the story of times, if one could be irreverently call it a ‘story’ for a minute. But then so was Middlemarch. But no, there were characters in Middlemarch, which stood in the middle of a backdrop created by the writer, while in this case, the characters somewhere melt and mix into the world in which they exist, so that we don’t really know whether their environment represent the characters, or the characters are the reflection of the world so elaborately built around them. The story plays at the lower labyrinths of human psychology and only fleetingly touches the world around them. The characters who inhabit the story are not untouched by the events around them, but still, the story is more about how we view the world around us than how the world is. Ms. Woolf moves so fluidly between dry prose and juicy poetry that as a writer one would just want to pick the book up and touch it to the forehead! This is a simple story of the family of Col. Abel Pargiter. The story begins in 1880 and then goes on till 1913, and covers three generations of Pargiters. The story starts from Col. Pargiter and his life with an invalid wife and a mistress. For the most part, this story of an upper-middle class family is looked at from the point of view of Colonel’s eldest daughter, Eleanor, who is the chief protagonist. There are curious bits of symbolism which reflects the society then, but it, at the same time, also reflects the society at this time as to how small, often unnoticed symbols become the pivot about which the families and relationships evolve. It tells us the story of the times when fathers were distant, remote figures, with a sense of mystery wrapped around them, as their habits, their coming and goings would arrange and re-arrange the flow of life in a family around them. Col. Pargiter’s tea is one such thing, as kids, Milly, Eleanor, Martin, Morris, Rose and Delia would have their lives revolve around this little ritual. Even Col. Partiger himself detests tea, but continue to sip, from his special cup, as his father used to do in his time. Stuck to his own role and posturing, Col. Pargiter wants to write to eldest son, Edward who is at Oxford, but he would rather ask his daughter to write to him. Sir Digby is Col. Pargiter’s brother and father to Maggie and Sara. The book is full of such enchanting and insightful prose and such sensitive symbolism. One just has to stop resisting and let oneself flow with it. This story is about passage of time, and this agony of watching time pass by is such a timeless thing. Virginia Woolf writes so elegantly about it, about passing of time and about us being left behind. She is still not hopeless, she is always an optimist. Life would end and life would begin again. For every dead dog, there is a sparrow twittering. A perfect cycle of life is created in such simple words. Eleanor grows into an independent woman, contemplative of life- her own and of those around her. She has her moments of self-doubts which Virginia Woolf mentions so delicately. When Eleanor was about fifty and single, she, Woolf writes, gave one glance at the woman who had been for fifty-five years so familiar that she no longer saw her- Eleanor Pargiter. She looks at herself as if in a shock, at her face now showing initial ravages of time passing by, and tries to recollect her own good points as often middle-aged people do. But then she quickly gathers herself. She is a woman who is at ease with herself, who is not struggling too hard to stay young. She is a modern, independent woman, who affectionately remembers her past, but still comfortable in her present. She thinks..
“There were her eyes- they still seemed to her rather bright, in spite of lines around them…But now I am labelled, she thought- an old maid who washes and watches birds. That’s what they think I am. But I’m not- I’m not in the least like that, she said…. (She thinks of the new worlds she had seen and she is satisfied) ..But where were her glasses? Put away in some drawer? She turned to look for them. The sun had risen, and the sky above the houses wore an air of extraordinary beauty, simplicity and peace. This book restores the faith of every middle-aged and aging individual and also puts into perspective how life would mean getting into the flow. This is the longest of Virginia Woolf’s work. But take it from me, every word of it that you miss is not only a loss for your literary life, it is a loss for your real life. In the earliest reviews, NY Times reviewer, Peter Monroe Jack wrote that in The Years, Virginia Woolf’s art reaches its fullest development to date. And he was absolutely correct. Do read if you are a student of literature, if you are a serious reader and if, well, if you are alive.